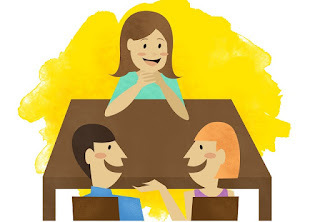 As a school counselor, parent conferences are always a indicator of the involvement, investment, and commitment a parent has to their child's education. A student who does well in school has parents who are attentive and invested in their child's education. In an article on ChildTrends.org, it states "parental involvement in school life was more strongly associated with high academic performance." One of the ways for a parent to be involved is to meet with their child's teacher and/or school counselor. In most elementary schools, teacher/parent conferences are routine and are built into the schedule of a school. Yet, in most middle schools and high schools, it's left to the parents to schedule their own conferences with teachers and/or counselors. I always ask parents to please be patient if they are trying to schedule a meeting with their child's teachers and/or counselors. Be advised the average school counselor ratio is 295-to-1. My ratio is 360-to-1. Some schools have over 600+ students to 1 counselor. Teachers are in the classroom most of their duty hours, and their preparation "hour" (more or less) is taken up by lesson planning, organization, collaborating with colleagues, and grading. I always tell my parents to give the counselor and/or teacher at least three days to respond to an email and/or phone message requesting a parent conference. After that, it's OK to send a follow up email or phone message. So, what should a parent ask when they have the conference with the school counselor and/or teacher? Is my child on track for their grade level? Is my child on track promote to high school? Is my child on track for high school English and Math? Is my child on track graduate? Is my child on track for admissions to a college/university? As a parent, it's tough to hear the constructive comments from a teacher or counselor. Remember, the teachers and counselors are there to work with you so the constructive comments should come with an action plan on how to best support the student. 2) Ask how well your child interacts with their peers and participate in class. 3) Ask for examples of assignments, projects, and/or tests. 4) Ask for detailed grade report. 5) Ask about what kind of homework your child doing at home and how you can help. 6) Ask if you can do a classroom observation. 7) Ask about academic interventions like tutoring, study groups, and/or school sponsored extra-curricular activities. 8) Ask for any websites, videos, and/or apps that can help your child practice skills at home. Teachers and school counselors are here to help your child be the best they can be with your help and support. Working as a team is truly in the best interest for the academic success and emotional/social well-being of all children. What Makes a Dream Job?